Fleeing from the scene, Officer Bob struggles to stay out of the reach of the walkers but makes it far enough that Rick steals his car to make chase. Rick tells him to stop, but Bob continues to run. Needing to end the chase, Rick hits him with the car. With Rick standing over him, Bob worries that his neck is broken. He pleads for his life and asks to be taken back to the hospital. Rick is done with his talking and just shoots him in the head. Out on his own, Gabriel stands outside of the school where the Terminus crowd once stayed. Walkers have taken over the inside of the building. He examines the grounds outside and finds a backpack with a bible in it with the name Mary B. on the inside. When he pulls the book away, he notices the severed leg that once belonged to Bob. Suddenly, he is interrupted when the walkers break out of the school and start to make chase. He makes his way back into the woods and back to the church. With the walkers so close, he cannot get under the building before being chased back to the main entrance. 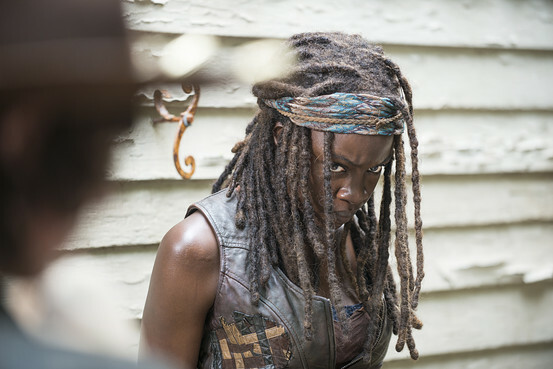 Carl and Michonne hear Gabriel’s cries outside and break down the door to let him back in. Machine takes out several of the walkers with her katana, but they are too overpowered. They take refuge back in his office before making their escape out of the hole in the floor. Safe from the walkers, they close off the church from the outside and trap the crowd within. Having woken up from her attack, Sasha sits in silence with the rest of the group as Rick returns. Daryl and Rick chat about Officer Bob’s escape and demise and the possible change to the plan. Rick goes to address the other officers, who try to defend Officer Bob’s life. They challenge the officers about their change in agreement to the hostage trade. Both of them are now on board and willing to hide Officer Bob’s death. Dawn attempts to radio the officers but gets no response. She continues to worry while riding her elliptical and opens up to Beth about her mentor and former leader. She shows a little vulnerability when she explains to Beth how he died. He lost sight of his purpose and lost his men, leading to a loss of respect and his life. Back at the church, Michonne talks to Gabriel about where he went. He explains his trip to the school, but they are interrupted by the walkers breaking through the church barrier. Suddenly, Abraham appears with the fire engine to block the front door of the church. With some happy reunions, Glenn immediately opens up about Eugene’s deception and asks about where the rest of the group has gone. Michonne explains that Beth is still alive and they agree to go save her. Beth witnesses one of the officers bullying one of the hospital tenants and shoving him to the ground. He yells out to her about her skills with a needle and thread, to which she becomes extremely nervous with his level of aggression. Dawn shows up at just the right moment and says that she needs Beth. Sitting at the elevator shaft, Beth worries about Percy and her safety. Dawn tries to console her but Beth is notably unmoved. Beth explains the limits of their little settlement, but Dawn immediately pushes back and explains that Beth is a cop killer. They are interrupted by Officer O’Donnell, who seems to want nothing more than to take Dawn down. As he walks away, Dawn draws her gun and essentially threatens that they are at an end. O’Donnell continues to push back and threaten her, just before take his shot to attack. They end up in an epic fist fight, which ends with Beth shoving him down the elevator shaft. Carol continues to sleep peacefully as Beth sleeps sitting on the floor. Dawn walks in and lets her know that it is okay to cry. Beth opens up and says that Dawn is in it for herself. The people who have died have been because she needed them gone and found a convenient way out of her predicament. She admits that she wants out. Dawn pities Beth’s innocence and continues to attempt to convince her to join the cause of the hospital. In the background, Carol moves her head slightly but remains asleep. On the rooftops, Sasha and Tyreese talk about the ambush. Tyreese recounts his story about the man from Terminus who he failed to kill and how it continues to eat away at him. Moving back to their childhood, he tries to make connections to their sibling bonds, but Sasha admits that she is different even if he remains the same. Daryl tracks one of the cop cars and Tyreese reports out about their arrival. Rick walks up slowly to the car and two officers step out with their guns drawn. They ask Rick to lay down his weapon and then talk about the opportunity for an exchange. A walker steps into view, leaving Sasha to take it out with her rifle. Rick lets the officers radio the request back to the hospital. Entering into the hospital, Rick escorts the captives to meet with Dawn. Beth is back in her room and hides a pair of scissors in her cast. Beth wheels Carol in a wheelchair, who appears to be awake but not very lucid. The two groups meet on opposite sides of a long hallway. They all holster their weapons. Dawn asks about Lamson, but the officers continue to play to the story. They trade one person first, Carol for one of the officers. Dawn grabs Beth by the arm and walks her over. Rick trades the other officer. As they walk away, Dawn says that she requires Noah back. While Rick opposes, Noah agrees to give in to the demand. Beth walks over to Dawn and says, “I get it now.” She draws the scissors out of her cast and stabs Dawn in the neck, but Dawn has her gun drawn and fires it. Beth falls to the ground and fades away. Daryl immediately takes the shot on Dawn and then both groups find themselves in a standoff. The officers claim that they can end it now and let the deaths end there. The group is horribly shocked but Rick offers to let anyone else join them that wants to. Only Noah ends up stepping forward. 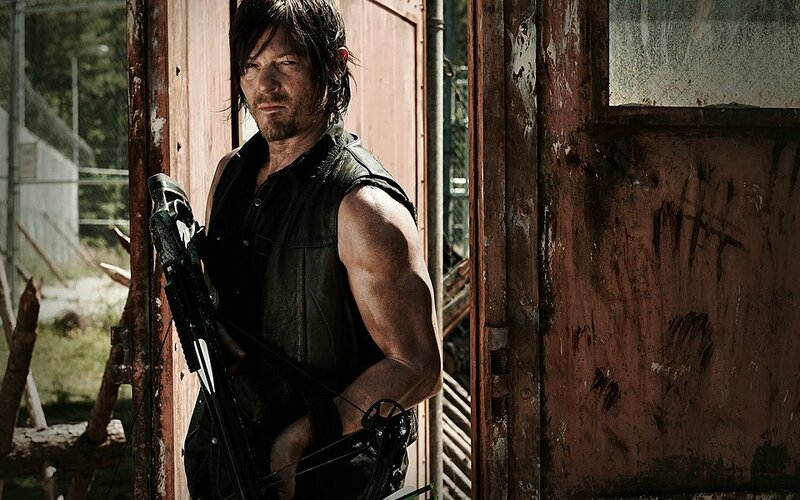 Abraham and the others fight their way toward the hospital, only to see Daryl carrying Beth’s lifeless body. Maggie immediately falls to the ground and into tears. Morgan finds himself at the school near the church and witnesses the destruction of the walkers. He sets up his belongings at the front of the chapel and chuckles to himself for a moment. On the ground, he finds the map with the message from Abraham, which includes Rick Grimes in the notes. Reaction: Not unlike many other episodes, this was one of suspense, opportunity, and a roller coaster of emotions. It saw Abraham’s group coming back to save the church, Maggie realizing that Beth was still alive, Rick enacting his plan for the hostage exchange, and Beth continuing to fight for her survival in the hospital. 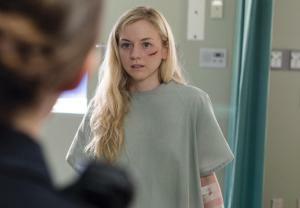 With the episode entitled Coda, there was definitely going to be a clear focus on Beth and likely an end. She was the musical one of the group and the light they needed. The suspense was building with the hospital continuing to look darker and darker, even with people dying around her. Dawn was clearly not going to let Dawn leave the hospital without a fight and she would not let up from her attempts to control her. She kept referring to Noah and how he would return at some point. Beth continued to be strong and even saw a moment to save the world from Dawn’s continued controlling behavior. Their conflict by the elevator showed Beth Dawn’s true nature. She went out in her own little blaze of glory, taking a final stab at Dawn and sealing both of their fates. Rick continued to prove that he evolves with the harshness of everything around him. This has happened before. The prison changed him for the better and then Hershel died to the Governor. Rick went insane for a while and then tried to come back to some sense. He encountered the people of Terminus and tried to be humane until he saw what they had confiscated from his people. When the moment struck, he went insane on them, almost to the level of his interaction with the marauders. Oddly enough, he had the sense of humanity in the final moment with Beth and Dawn laying dead on the ground to offer to the hospital patrons the chance to join him, but he definitely failed to offer that opportunity to Officer Bob. Rick might be in a one-strike mode, but there are still little semblances of humanity and redemption in his eyes, not wanting to give it up. Gabriel has an interesting vantage point for this group at the moment. Having grown up with Rick and the antics of the group, it is easy to give them a pass at many of the decisions and actions they have to take. For Gabriel, he continues to fail to see the world for what it is now. He must think that Rick is as insane a leader as Gareth, even though both have shown him different overall presence and purpose for continuing to live. Rick did bring death into the church, while Gabriel was having trouble with the death he caused outside of it. Seeing Bob’s leg at the school may have started his acceptance of the new world, but he continues to coward from the actions he needs to take to survive. 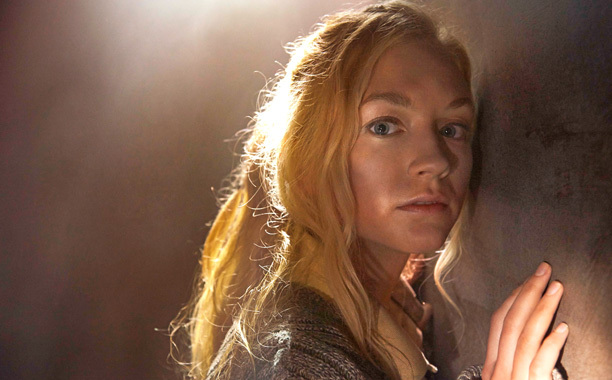 With Beth gone and the group back out on the road, it appears that the next half of the season is going to be a bit of a journey. Maybe they finally get away from Atlanta and venture out into a brave new world.